As many readers know, thanks to the National Voter Registration Act, the federal motor-voter law, applicants who apply for driver's licenses can also conveniently be registered to vote at the same time. It's one of those excellent-in-concept/flawed-in-execution kinds of law that Congress is so good at passing. The law is flawed because it follows the rule of unintended consequences. The problem, quite simply, is that motor vehicle examiners aren't experts at knowing who is, or is not, allowed to vote and so, not surprisingly, err on the side of inclusion. It's understandable, really, but the result is that they inevitably assist license applicants to register when they are ineligible because they've been disenfranchised because of felony convictions, because they are aliens, or because they are subject to one of the sundry legal bases that exist for not permitting a person to vote. The parameters of these unintended consequences have multiplied, at least where aliens are concerned, in those states that have chosen to grant driver's licenses to illegal aliens. California is one of those states. 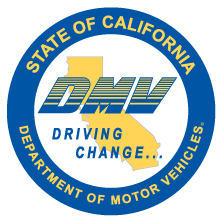 News outlets are now telling us that, after repeated denials, the California Department of Motor Vehicles has admitted that, yes, it did in fact screw up by assisting at least 1,500 ineligible driver's license recipients to register to vote, including aliens. An audit of California's DMV voter registration program — commonly known as "motor voter" — is likely to turn up more instances of mistaken registration, according to the Public Interest Legal Foundation, a nonprofit that investigates election integrity issues. A PILF report released in August found that hundreds of non-citizens were recently purged from voter rolls in three major California counties, most of them after having registered through the motor voter program. It's not a very impressive track record. But in an effort to reassure the public, DMV officials have since publicly stated that none of the persons registered in error was an illegal alien. This assertion that none of the aliens registered was illegally in the United States both intrigues and puzzles me. How would the DMV know? California is a sanctuary state that, by law, prohibits its employees from making inquiries as to an alien's status. So how exactly does the DMV know the status of those aliens? Did its employees, as a matter of embarrassment and political convenience, get the go-ahead to violate state law in this case and make the immigration status inquiries? At one level, I'm deeply amused at the notion of such a peek under the rug at the hypocrisy revealed by the DMV's screw-up. It's a tacit admission that, state law and political grandstanding to the contrary, yes, it is important to delve into an alien's immigration status in matters of official business. It is a federal crime for anyone but U.S. citizens to vote in federal elections. See 18 U.S.C. Section 611. Voting in a federal election also renders an alien — any alien — deportable from the United States. See 8 U.S.C. Section 1227(a)(6)(A). So even in their reassurances on the matter DMV has missed the mark. This, in short, is why the motor-voter law was, is, and likely will remain a sorely flawed exercise in good intentions gone awry.